My leather Satchel love posts are turning into something of a series. My newest addition, white 11" Leather Satchel Company bag lasted approximately 4 days before Biba nabbed it. I have to admit that it looks spot on with my fluro orange Day Birger et Mikkelsen t-shirt (that she also managed to nab on this holiday). 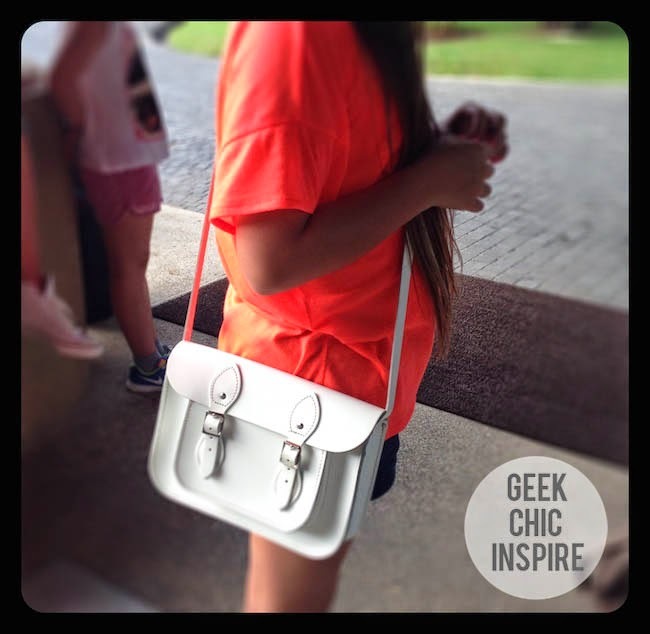 White is just perfect in the sunshine and this 11" size has been a perfect holiday handbag.